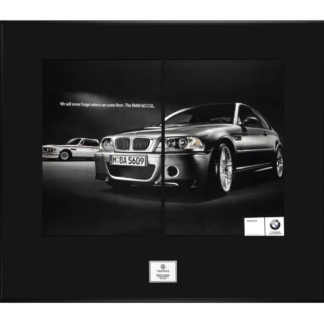 Matt Black, lightweight aluminium frame (53 cm x 46 cm), with a black mount board. 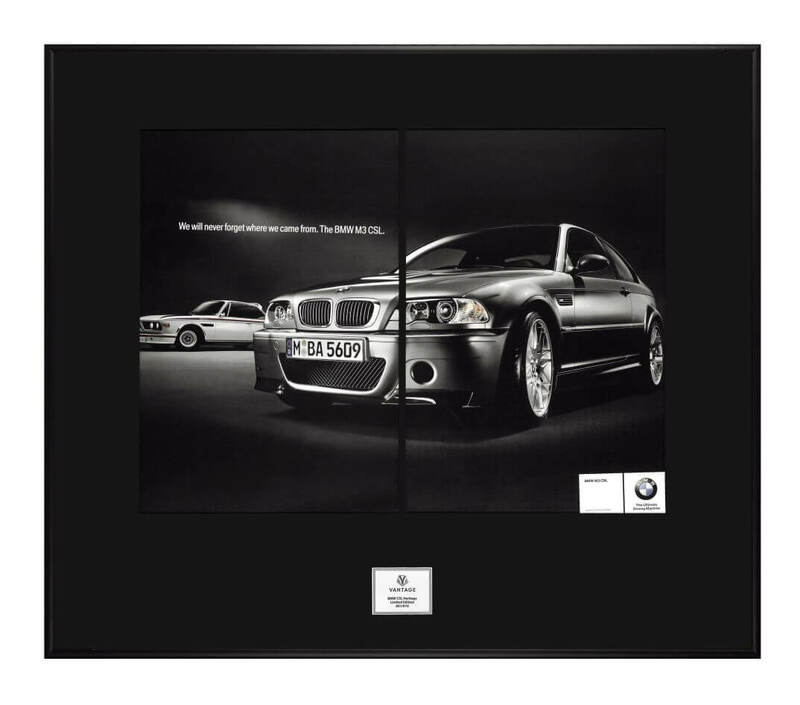 Enclosed 2 individual prints, extracted from a BMW Classic live magazine. Q: How are the frames put together? Q: What types of frames are used? 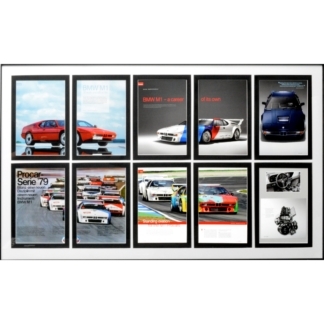 A: We use only the highest quality frames, which range from wood to aluminium. Q: Is each frame a one-off? the absolute maximum being 10. 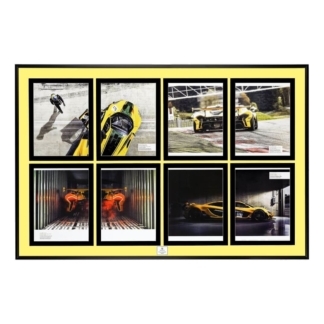 Q: Is the frame numbered? 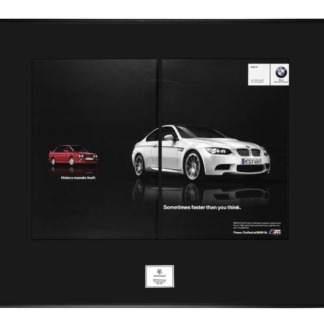 A: Yes, each individual frame comes with a numbering plaque and certificate of authenticity. Q: How will the frame be sent?